Bring the best available experience to every TV on your property from a single platform. For example: flexibility to support a custom combination of legacy analog and HD channels—with more than 40 possible system configurations. 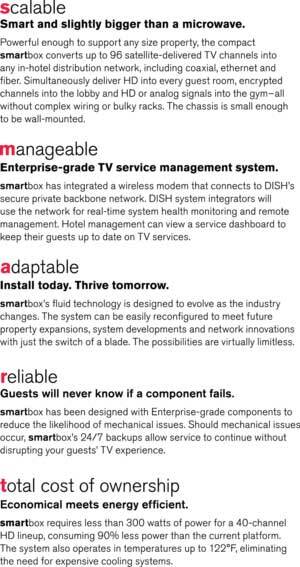 The shared antenna system utilized by smartbox eliminates the need for equipment on residents’ balconies—making your property more aesthetically pleasing. 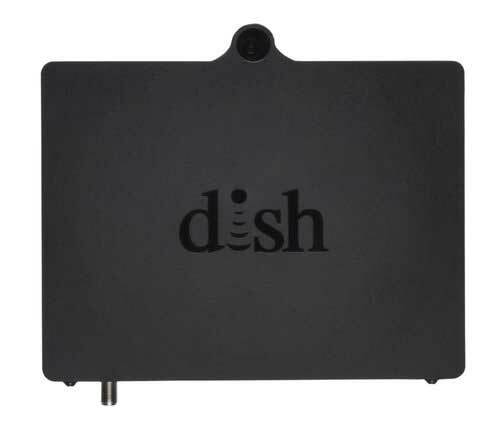 Deliver HD video content without a receiver at the TV . Property owners do not need to manage equipment, and TV setup is simple for residents. A dedicated equipment room is unnecessary with the smartbox’s physically small size of 5RU and the ability to operate in ambient temperatures of 122º F. The chassis can be wall-mounted or rack-mounted, depending on your needs. The system is continually monitored and managed for real-time system updates. With the built-in remote management and monitoring system, you no longer need to wait for residents to report a problem. You can easily update and communicate with your residents with the ability to add customizable community pages. Satellite Center is a certified Dish provider. This great new system can be designed for your hotel, condo or retirement home today! 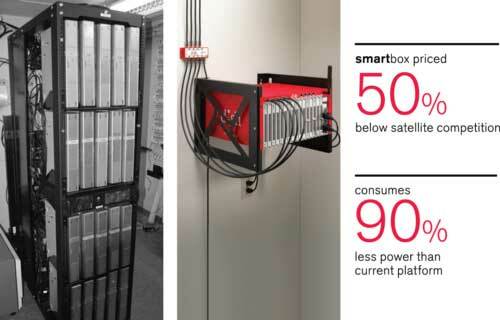 Once the system is built, our techs come out to the project and install the new Smart Box System. We then go room to room and configure each t.v. for the new package.